During pregnancy consuming alternative medicines such as herbal teas is the great way to support your pregnancy. Certain herbal teas provide you some additional nutrients such as iron, calcium, magnesium, etc. Herbal teas are generally made by using plant parts or plant materials into hot water, plant parts may include flower, bark, leaves, seeds, roots, etc. As these teas do not contain caffeine, so it is safe to consume by pregnant women. They help to soothe frayed nerves, tame upset tummies and induce sleep. Red raspberry leaf tea is completely safe for pregnant women and it is popularly called as uterine strengthening tea. It is used during the second and third trimesters of pregnancy. This wonderful tea is rich in iron, iron increase and tones the uterine muscles. It also has other benefits such as it strengthens the contraction, and decreases the time of labor, decreases hemorrhage during pregnancy. Dandelion is an herb which is often found best in pregnancy teas. It is rich in vitamin A and calcium, it reduces swelling during pregnancy. You should be little careful because the leaf also acts as a diuretic, that means it increases your urine volume. Peppermint leaf tea is also safe during pregnancy; it helps to relieve nausea/morning sickness and flatulence or gas. It may cause heartburn which is a common pregnancy problem faced by many pregnant women. Lemon balm tea has a calming effect and helps relieve anxiety, insomnia, and irritability. It helps with the common cold, respiratory issues, elevate digestion problems, it also helps in treating headache and toothache. Ginger root tea has many health benefits such as treating nausea and vomiting. It has special properties such as antihistamine, anti-inflammatory, erases motion sickness and great flavor booster. It is completely safe to consume herbal teas by expectant moms and pregnant women. Expected moms have different tastes and preferences in pregnancy. Teas which are made from herbs are not only safe but they also provide relief from many pregnancy symptoms. Go ahead and consume these herbal pregnancy teas. Fortunately, there are herbal teas specifically recommended as pregnancy-friendly teas. These teas are good to be consumed during pregnancy and will not cause any complications. Drinking a cup of herbal tea can provide you many important nutrients which are needed when a woman is pregnant. Instead of opting for a coffee, which has caffeine you can simply choose herbal tea which does not have caffeine. They help in lowering anxiety and stress levels. They alleviate morning sickness levels. They help to prepare the uterus for labor. 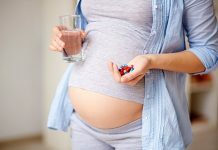 Many pregnant women wonder whether the herbal tea is beneficial if you are pregnant or is it safe to drink herbal tea during pregnancy and many questions run in their mind. There are few herbal teas which are completely safe for both mother and child. Because many of these herbal teas will help to relieve common pregnancy symptoms. Some are dangerous and should be avoided by pregnant women. All the above listed herbal teas which are safe to drink during pregnancy, but it is always safe to consult your doctor before drinking them.